CheapScholar Announces 2015 Scholarship Winner! It has been a very busy and exciting year for CheapScholar.org. For those that don’t know, CheapScholar.org was “born” in January of 2010 as I took my passion for educating families and students about the financial aspect of the college experience to an entirely different level – the web. 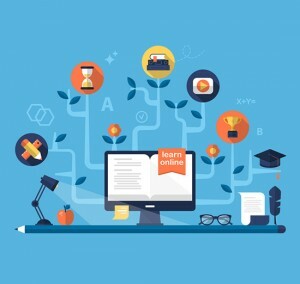 Since that time, CheapScholar has reached hundreds of thousands of visitors, provided support in the form of scholarships, delivered up 830 informative articles, and traveled the countryside providing Paying For College and Professional Development presentations for high schools, foundations, corporations, and organizations. I truly enjoy volunteering my time and expertise on this endeavor! Whether you have utilized our Scholarship Resource Page, downloaded our free Paying For College Toolkit for guidance counselors, stayed connected to industry news via our College Pulse news aggregator, stopped by to enhance your financial literacy by playing Financial Football, or are just staying social via our Facebook and Twitter feeds, we are glad that you have found CheapScholar.org and made it a part of your day. 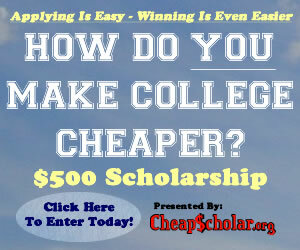 One of the greatest accomplishments that CheapScholar.org recently achieved is awarding our fourth “How Do You Make College Cheaper?” scholarship. It has always been my goal to help students make their way to college through the information and resources provided here on CheapScholar.org but I also wanted to help by providing financial support via a scholarship! I am pleased to announce that Jasmine Trickler is the 2015 scholarship recipient. Ms. Trickler is attending Eastern Washington University and I hope this scholarship gets her one step closer to achieving her educational goals. If you would like to learn more about Jasmine, please take a moment to read through the bio she submitted to us to share with our readers. As you will see, this year’s scholarship found a good home with Jasmine. An explosion in the popularity of eSports competitions has led to video game companies helping organize collegiate competitions and prompted two American universities to offer scholarships for online gamers. Esports has become the new frontier in collegiate games, with thousands of players competing online in sports ranging from arena battles and first-person shooters to video game versions of field sports such as soccer and baseball simulation games. The numbers are huge. An estimated 71 million people watch video game competitions on streaming sites such as Twitch every year, a number that keeps growing. And the prize money also continues to grow. For example, the prize pool for The International, the championship tournament for the online game “Dota 2,” has passed $14 million. The International will take place in August 2015. Esports has been played on college campuses for years, but really took off after online gaming competitions became popular in the first decade of the 21st Century. Teams for eSports are at many colleges – for example, more than 200 schools have teams that participate in organized “League of Legends” competitions. It’s also grown as spectator sport. More than 90,000 people watched online in the summer of 2014 as San Jose State beat California State University-Fullerton in an online video game battle, according to the New York Times. The Times also reported that more than 10,000 students now play in the biggest college video game leagues – 4,600 more than play on NCAA Division I basketball teams. Video game developers have quickly moved to support these teams, in some cases offering prizes, team banners and helping organize leagues. 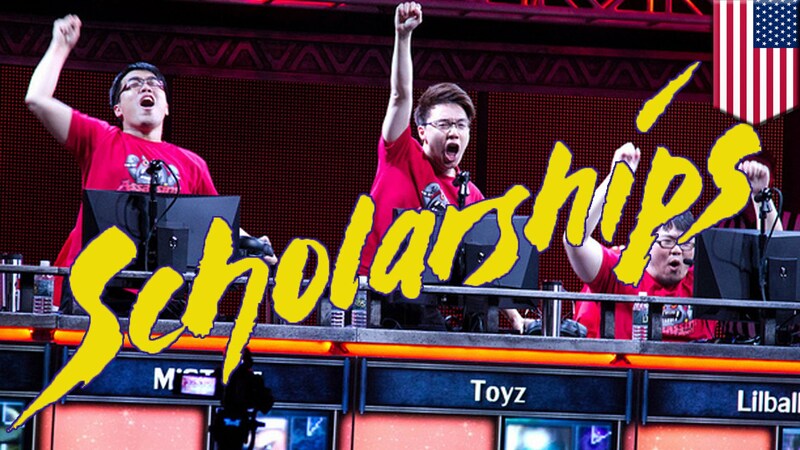 Online gaming scholarships are now being offered at two universities. Both Chicago-based Robert Morris University Illinois and the University of Pikesville in Kentucky began offering talented gamers a chance to earn scholarships to their respective schools. Both schools have offered scholarships for those who play at a high level in League of Legends, the world’s most popular online video game with more than 27 million players every day. Robert Morris offered 35 scholarships for the 2014-2015 school year. The University of Pikesville plans to offer 20 beginning in fall of 2015. Gaming skills aren’t the only condition – students will also be judged by their grade point average and work ethic, as well. Players will compete in the Collegiate Star League, a “League of Legends” division open to accredited North American colleges. About 230 universities participate. Even ESPN has embraced eSports. The network televised a “Call of Duty” gaming competition that was part of the X-Games in the summer of 2014 and televised The International, the global finals of the video game “Dota 2, according to USA Today. And Amazon recently paid almost $1 billion to acquire Twitch, according to the Harvard Crimson. The Crimson also reported that more people watched the 2013 League of Legends World Championship (about 32 million) than that year’s NCAA BCS Championship and Game 7 of the NBA Finals (about 26 million each). With the growing audience for eSports – both among players and spectators – it seems likely more schools will join Robert Morris and the University of Pikesville soon. Today’s guest article was provided by iFame Media, an internet marketing agency that focuses on higher education among other industries. While purists are still trying to accept Robert Morris University’s decision to offer scholarships to video gamers, another school has decided to do exactly the same thing. Expect another round of dismay and criticism from old-school sports fans as the University of Pikeville in Kentucky, a small liberal arts school in the eastern section of the state, begins to offer scholarships for talented gamers in the fall of 2015. Like the scholarship at the Chicago-based Robert Morris, the University of Pikesville will offer athletic scholarships to those who excel at playing League of Legends, the most popular online video game in the world, with 27 million players worldwide every day. The University of Pikesville plans to offer 20 scholarships to gamers beginning in the fall of 2015. The scholarships will cover about half of the private school’s costs. To qualify, students will be judged on GPA, work ethic and gaming ability. 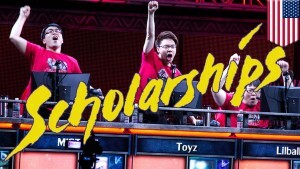 Those who get the scholarship – which is open to male and female students – will play for a University of Pikesville Bears team that will send a team to compete in the Collegiate Star League, a League of Legends division which is open to accredited North American colleges. About 230 universities participate, but none of them are offering scholarships to players other than Robert Morris and University of Pikesville. For those unfamiliar with the game, League of Legends involves two teams of five players each who compete against each other in a virtual arena. iFame Media provided this article on behalf of Fun Crew USA, the top source for water slide rentals and obstacle course rentals in Central Florida. Siemens Corporation and College Board have teamed up to award students who excel in math, science or technology. Regional competitions are held each year, awarding winners a $3,000 scholarship; national finalists are awarded anywhere from $10,000 to $100,000 for first place. 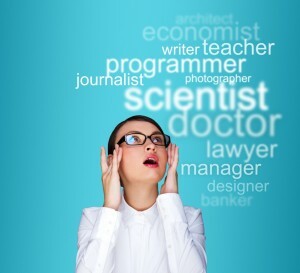 Each applicant is required to research, prepare and support a project of their choosing. You can apply as an individual or as a two- or three-person team. Projects completed as a team are graded on collaborative research efforts as well as each individual’s personal contribution to the project. The Morgan-Stanley IT scholarships include internships and possibilities of a career with Morgan-Stanley. These scholarships are primarily targeted towards female candidates and minorities. One such scholarship awarded is the Richard B. Fisher Scholarship, which is open to minority students with a high GPA who are interested in the financial technology sector. Winners can receive up to $10,000 in addition to a summer internship with the company. Together, Robert Half Technology and AITP award up to $2,500 in scholarships for two students who are enrolled in an IT program. If you apply, you must be a student member of the AITP (Association of Informational Technology Professionals) and have at least a 3.0 GPA. Applicants who are actively involved in community service also are given special consideration. The FITE is an organization that sponsors different types of scholarships for applicants who major in IT. One such scholarship is The Betty Stevens-Frecknall scholarship, which is awarded to undergraduate students enrolled in a four-year IT program. Funding for this scholarship is provided in honor of Betty Stevens-Frecknall, who was a data analyst before personal computers existed. The scholarship amount is $2,000. The William Reaugh Scholarship is awarded to students who major in IT. Applicants must be enrolled full-time in a collegiate program and must have already completed at least one semester in a college. The award amount varies. Scholarships are a wonderful way to offset the high cost of college. You are awarded on your personal merit and achievements before entering college, and you receive money to help pay for the high cost of attending. This way, when you graduate, you’ll not only have a great education but also a list of achievements to put on your resume. CheapScholar Announces 2014 Scholarship Winner! Over the course of the past four years, I have had the opportunity to share nearly eight hundred articles with our readers. CheapScholar’s College Resource Center has helped thousands upon thousands of students find the answers that they need on topics related to the financial aspect of their college experience. CheapScholar had a very meager beginning with just a couple hundred visitors in the first month – now the site is welcoming tens of thousands of visitors each month! Our Find Scholarships page has become a “go to” resource for students/families looking for outside scholarship dollars. Recognizing a need among high school guidance counselors, CheapScholar.org rolled out a free resource for Guidance Counselors that provides tools and information to help the students and families in which they serve. CheapScholar.org is spreading the good word about Paying For College options by providing free Paying For College seminars for high schools, foundations, & organizations throughout the midwest region of Ohio and in various parts of the nation. We are continually making the CheapScholar.org website a solid resource for families, students, guidance counselors, college administrators, etc… This year we introduced “The College Pulse” – a daily news resource that compiles paying for college information from across the nation in one convenient location. In addition, we also proudly support financial literacy efforts by hosting Financial Football on our site! I am pleased to announce that Jacqueline Vazquez is the 2014 scholarship recipient. Ms. Vazquez is looking forward to attending University of Central Florida and I hope this scholarship gets her one step closer to achieving her educational goals. If you would like to learn more about Jacqueline, please take a moment to read through the bio she submitted to us to share with our readers. As you will see, this year’s scholarship found a good home with Jacqueline. Hi! 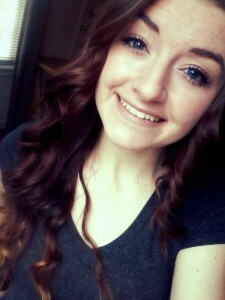 My name is Jacqueline Vazquez. 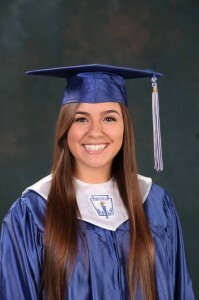 I am an incoming freshman at the University of Central Florida and I recently graduated from Somerset Academy Charter High School in Pembroke Pines, Florida. Throughout the last four years of my life, I have been heavily involved in my high school’s National Honor Society; I was Liaison of the club in my junior year and was elected as President of the club during my senior year. I helped the club to grow and help our school and the community by participating in fund raising events, food drives for the less fortunate, and volunteering at the Homeless Voice’s 5K Walk/Run. I am also a member of the Spanish, Science and Math Honor Societies at my high school (Somerset Academy). Some of my hobbies include writing, reading, playing soccer, and watching sports with my dad. In fact, I love sports so much that I am planning to study Communications and pursue my dream of becoming a sports broadcaster! Furthermore, this scholarship will help me to continue my education and have the funds to pay for tuition, books, meals and school supplies that are essential to my college life. Without the burden of worrying about how to pay for college, I can fully apply myself to my studies and my participation in extracurricular organizations at the college I will be attending. I want to be able to look back at my college experience and see it as a time of productivity, scholastic success and personal growth, and I know that this scholarship will help me to do just that. Thank you from the bottom of my heart… This award will be put to good use! America runs on small businesses and the entrepreneurial spirit, in fact according to the Small Business Administration, small businesses account for 64 percent of the private sector jobs. Small businesses also represent one of the fastest growing employment opportunities for future graduates. However, large portions of future and present college students have visions of massive corporations, suits and skyscrapers as being their post graduation home. Let’s forego the old way of thinking and help those students looking to finance an entrepreneurial education keeping the small business dream alive. Yes, Bill Gates and Mark Zuckerberg may not have followed the traditional college education track and still wound up being highly successful. It’s possible, though slim, that you would be able to have similar success, though for the sake of this article, let’s assume your small business hopes require the foundation of a strong college education. That foundation requires a good college savings plan that may include grants, scholarships, 529s, financial aid among other numerous options. Being resourceful and doing your homework in advance can save thousands on tuition costs. Programs such as the SuretyBonds.com scholarship offer $1,500 to those with ties to small business. Three lucky winners receive this scholarship each year. Numerous small businesses cater to a niche or focused customer base. The medical sector for example, which is made up of doctor’s offices, dentists, pharmacies and nursing homes are often run by small business owners, each with their own story of success. Dr. Greenberg’s advice is sound, as many grants and scholarships go unfilled because potential students weren’t savvy enough to find them. For example, the American Dental Association (ADA) foundation offers grants and scholarships for higher education to those in the dental industry. They offer around 54 scholarships with up to $135,000 total funding; something future dentists should really look into. For a more generalized approach there is the National Association for the Self-Employed (NASE). They have awarded more than $55,000 in Succeed Scholarships since 2011. The NASE Foundation Future Entrepreneur Scholarship is designed to help promote youth entrepreneurship. They award up to a $10,000 scholarship for future entrepreneurs. Keep your spirit alive and chase your dreams by creating your own small business, just do so with the right tools. A robust higher education will pay you back in dividends, helping you succeed where others may have once failed. However, you can go to school in the most economical way possible by focusing on grants, scholarships and similar for small business owners and entrepreneurs. Today’s guest article comes from Matthew Speer. He is the owner of iFame Media, a marketing firm offering expert SEO services to those looking for sustainable marketing practices. This scholarship program established in honor of Edwin, Frederick, and Walter Beinecke gives successful applicants $4,000 prior to reporting to graduate school. 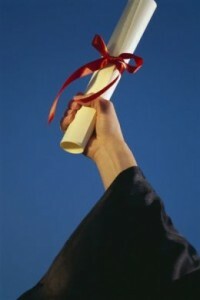 Subsequently, scholars receive $30,000 before they graduate. Unlike other scholarships, this program does not have geographical restrictions meaning students can join a graduate school of their choice. However, recipients must attend graduate school and utilize all the given funds five years after completing undergraduate studies. This fund was set up in accordance with the will of Anna Lee Stacey to provide education funding to people who would like to pursue art careers. Applicants must be American citizens aged 18 to 35 years. Scholars receive a distribution of $5,000 for one year. Take note that one can receive this distribution in a single installment or quarterly installments. It is up to recipients to use the funds they receive to further their art education in areas such as drawing, design, and painting. 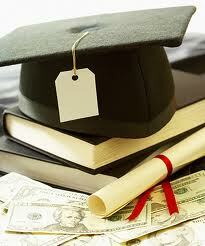 Different universities offer scholarships to various students at different levels of their education. 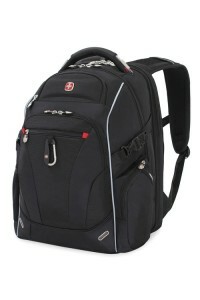 Scholarships are available out of high school, as well as during each year of study. Scholarships can be based off of high GPA, along with achievement in the classroom, or can be offered to students who demonstrate artistic achievement out of the classroom. Some of these scholarships are titled, Fine Arts Scholarship, Outstanding Freshman Scholarship, and Academic Recognition Award Scholarship. These scholarships can pay a lump sum to a student, or can be rewarded yearly based off of continued academic and artistic success. In summary, scholarships for arts students abound provided one has exceptional talent. The monetary of such scholarships typically range anywhere from less than $1,000 to more than $40,000. Most run for a year and are renewable provided recipients maintain a GPA of 3.0 or better. The beauty of getting into a scholarship program is you do not have to worry about finance for tuition. Today’s guest article comes from Ryan Ayers. He is a writer who creates informative articles in relation to education. In this article, he describes scholarships available to art students and aims to encourage further study with an art education online program.